Outrigger canoe lashing – is this houston? Today Tom put the hurt on us as we paddled out into the Galveston Bay. All the while I was seated on seat 3 and taking the beating, i was looking at the interwoven patterns on the rope holding the outrigger stable. 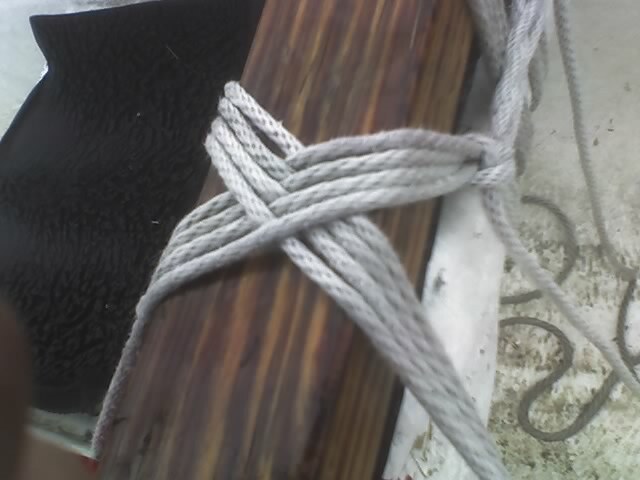 A nicely lashed outrigger is a secure one.